As I said on Facebook earlier this week: "You can tell it's a race day at Talladega - the Walmart is empty and they're all out of confederate flags." 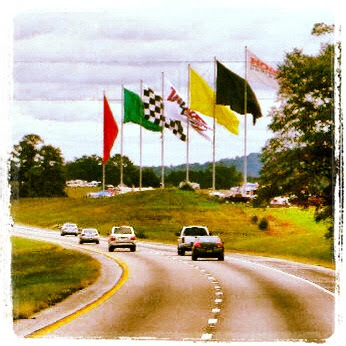 When we passed by the Talladega Superspeedway this week, from the interstate I was able to see hundreds, if not thousands, of tents, RVs, and pickup trucks crowded onto the field around the track. People camping at a NASCAR racetrack. Some things are just beyond my comprehension.